Our aim is to nurture talented soccerplayers in an elite environment that will allow them to continually improve on their soccer abilities. 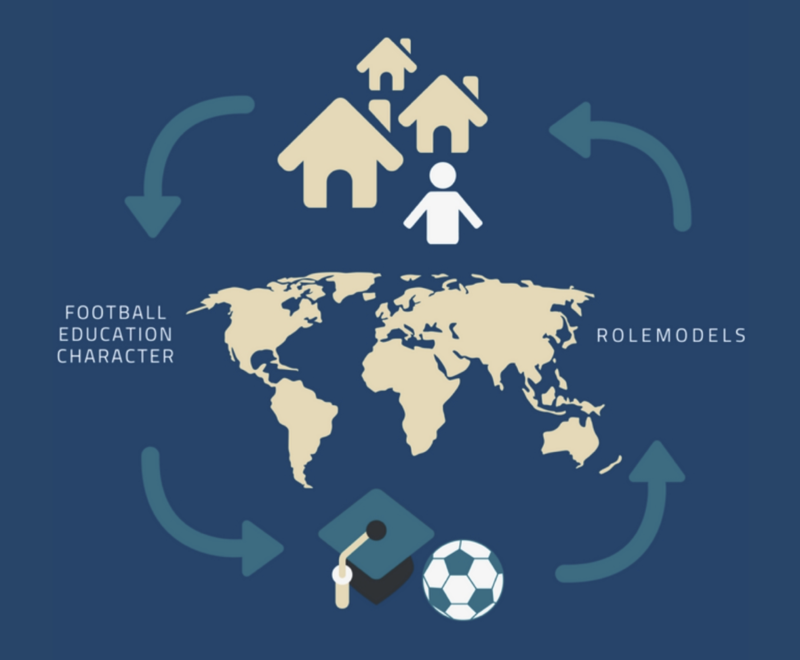 Off the field, we provide the students with a great education that includes a character program to develop their character and prepare them to become future African role models. This already happens in the town of Masaka in Uganda and has been developed within the last 4 years now having 30 students living and breathing “El Cambio”. We are a non-profit organization with the ambition of helping young boys, families and entire communities to have a fair chance in life. We use soccer as a tool to achieve this. When a boy has been selected for the academy we offer him 8 years of free scholarship. After these years this scholarship gives the boys a possibility to seek three pathways. They have the chance to become either professional soccer players at the age of 18 or continue their studies in Uganda or abroad at high schools and colleges. Finally they can also choose to become a staff member at our academy. This way we ensure that all boys have the possibility to change their lives forever. Our main goal is to get the players to understand the importance of giving back to their families and communities in Uganda. The boys can do so by returning to Uganda using their education, network and resources in the future to come. How do we build it up? ECA is a non-profit organization. All money that goes into the academy will be spend on developing the system so that in the future more boys will have benefit of this organization. The last 4 years all money has been spend on food, facilities and materials supporting the everyday life of the 30 students. In 2018 we would like to pay our volunteers so that they can work full time for the academy. They have now been working for free for almost 4 years. Why did we choose Africa? 1. African families need help to survive. 3. Africans have natural soccer physiques. 4. Africans want to work hard to achieve success. 5. Africa has a huge potential that has not yet been developed. 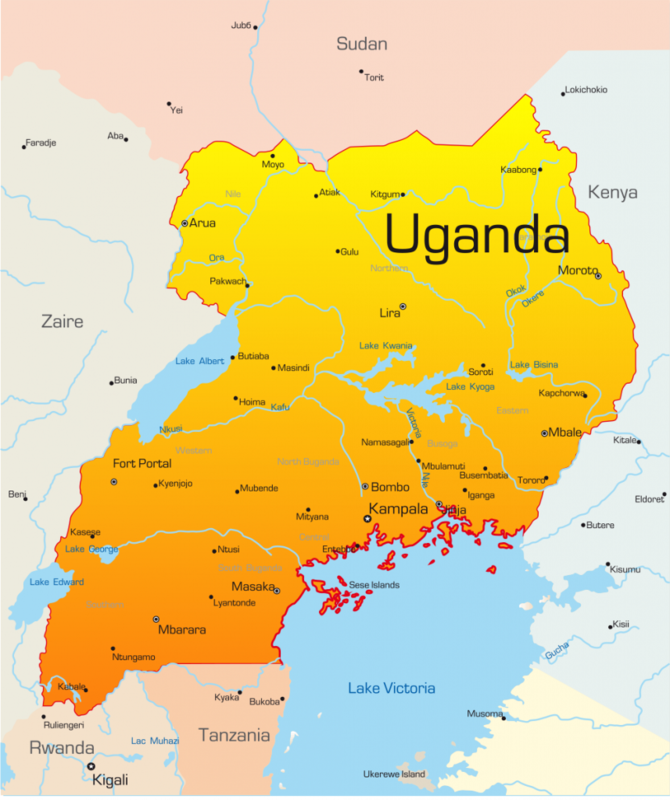 Why did we choose Uganda? 1. We have already established an academy. 2. We have reliable network established. 3. The country is untouched by soccer with a population of 40 million. Why did we choose Masaka? 1. Local community has welcomed us. 2. Masaka is only 1.5 hours drive from the capital Kampala and airport. 3. Masaka is located at high altitude with comfortable year-long temperature. 4. Masaka has modern hotels and restaurants. 5. Borders Lake Victoria and Safari is only 3 hours away.